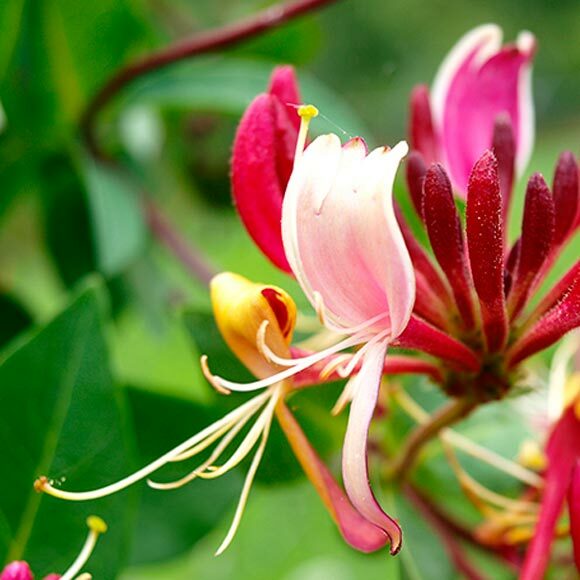 The European Honeysuckle or Woodbine (Lonicera Periclymenum, Táthfhéithleann) grows to 7 m (23 ft.) or more in height and is a vigorous evergreen twining climber. The scent is sweet and fruity. The botanical reason for this strength of smell is to attract the moths that pollinate it.